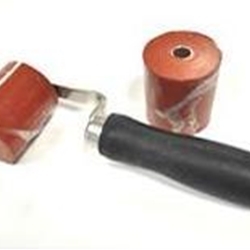 Applicator Roller for the Textured Wall Applicator (GP-TWA-1000) This tool is used for applying vinyl onto rough surfaces such as brickwork and textured drywall. The softness of the application roller reduces the risk of damage to your vinyl graphic and ensures good adhesion to rough surfaces. Each tool is sold with one application roller and replacement rollers can be purchased individually when needed.